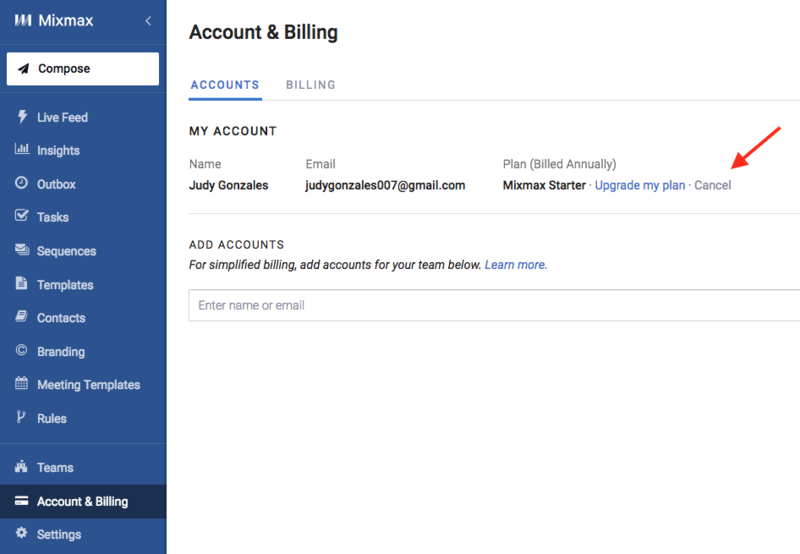 Go to your Account & Billing section in the Mixmax Dashboard. Click Cancel. 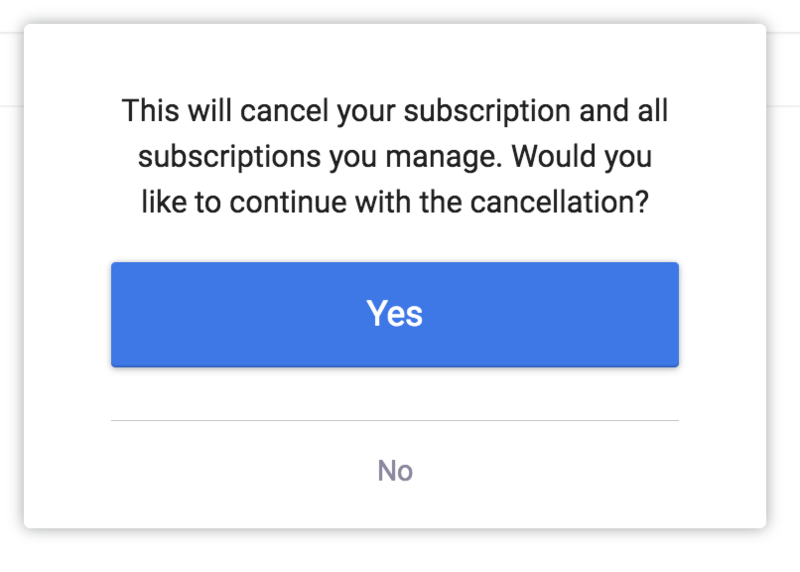 In the box that pops up, click Yes to confirm you want to cancel. If you don't see the Cancel button, that means you're on the free plan; here's how to close your Mixmax account. When you cancel your subscription, we cancel your auto-renewal. Your subscription will remain active until the end of your billing cycle. At that point, you’ll be placed on our free plan. If you were on monthly billing, your subscription will remain active until the end of your paid month. If you were on annual billing, your subscription will remain active until the end of your paid year. We do not offer partial refunds on annual plans, which is how we’re able to offer a steep 25% discount in comparison to monthly plans. However, we’re happy to transfer the remainder of the subscription to another email address, whether to another email address or to another person, such as a co-worker. Write us at success@mixmax.com to request a transfer of the remainder of your subscription! If you are on a free trial and you'd like to stop using Mixmax, there is no need to cancel (as you do not currently have a Mixmax subscription). At the end of your trial, your account will automatically switch to the free plan. At any time during your trial, you can delete the Mixmax extension by following the steps outlined in the Deleting the Mixmax Extension section below. Once you cancel your subscription, billing changes will be processed within a few business days. If you cancelled a few days before your billing due date and were charged for your subscription, it may be that our billing system hadn’t completed your cancellation before you were charged. Simply write into us at success@mixmax.com, and we’ll take care of your refund! Once you've cancelled your subscription, you’ll automatically be placed on the free plan. The Mixmax extension will remain active in your Gmail account. If you like, you can delete the Mixmax extension from your browser. Note that only deleting the extension does not cancel your paid subscription to Mixmax. Go to the URL chrome://extensions, find the Mixmax extension, and click Remove. If you delete the extension, your account will remain, and you can download the extension again and resume using Mixmax. If you do not wish to use Mixmax in future, here's how to close your Mixmax account. We're sad to see you go! We’d love to hear why you’re leaving Mixmax, and if there’s anything we could do to win you back. Write us at success@mixmax.com with your feedback! Can I use Mixmax with multiple email addresses? How do I switch between my Mixmax accounts?